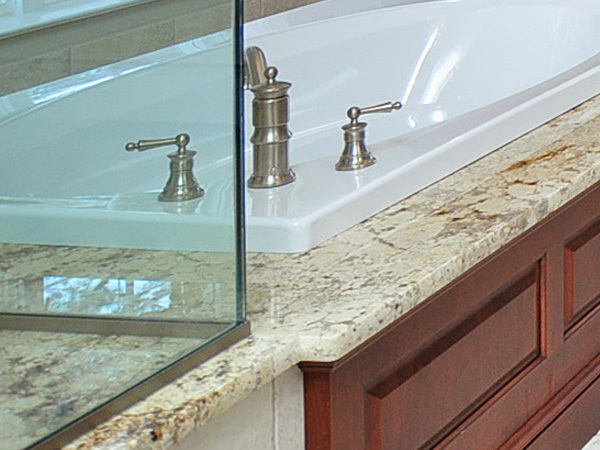 For All Your Bathroom Remodeling Services, Holland Kitchens & Baths Can Help! At Holland Kitchens & Baths, we have the award-winning designers and craftsmen to create a kitchen beyond your dreams.It doesn't matter if your budget is tight, or you have a "problematic kitchen" - we have the team available to ensure that your next remodeling dream becomes a reality! 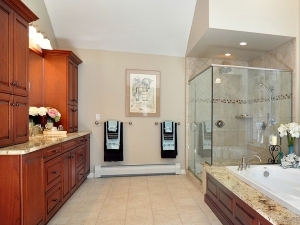 If your remodeling dreams extend beyond the kitchen, fear not - at Holland Kitchens & Baths our quality craftsmanship can be applied to any home project: bathroom, bedrooms, additions, and more! 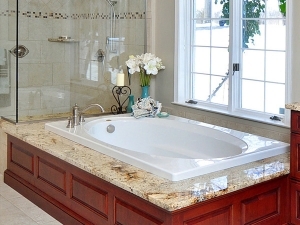 If you are comfortable and like what you see, Holland Kitchens & Baths can start to work for you. Not only will we discuss design details with you, but we will also come out to your home to take measurements and provide detailed drafts, elevations, and floor plans of your proposed design. We will discuss cost with you and will modify the design until it is perfect for your style, needs, and budget. 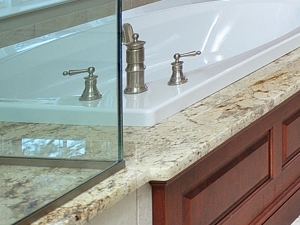 When you walk into any of the bathrooms in your home, one of the most aesthetically stunning features that stands out first is the surface of your countertops. 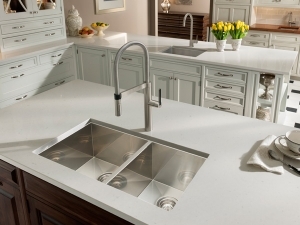 Aside from the way the countertops look, it is important to choose a material that is functional, long lasting, and easy to maintain. At Holland Kitchens & Baths, we carry several options for countertops that are both gorgeous and functional. 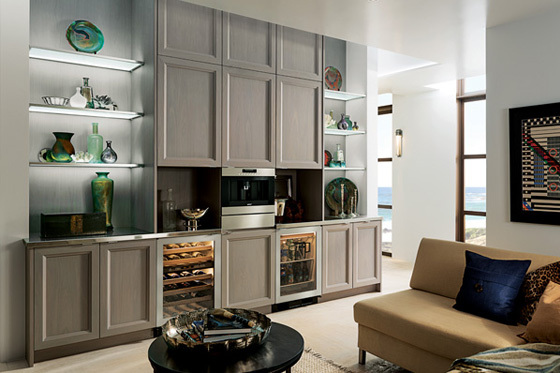 Thank you for persevering with Woodmode/Brookhaven on our behalf to replace so many cabinet door-fronts and drawer-fronts. The molded composite results in a much cleaner/smoother finish product. 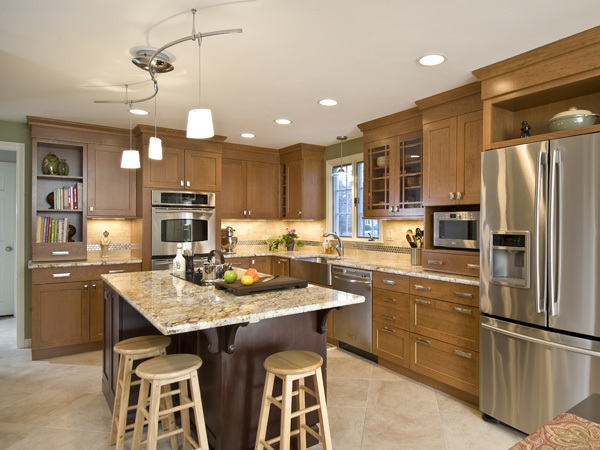 All in all, the kitchen came out really beautiful and we are very pleased with the workmanship and the competency of your company. Henry is a fine craftsman and most meticulous. John measures beyond anyone's dreams but it really pays off. And of course Ed is a master in keeping the project moving forward. 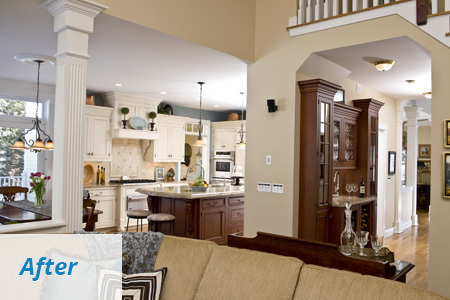 We are so happy we chose Holland Kitchens to refurbish our kitchen. Warmest regards. Joan and Dennis R.
For the best bathroom remodeling services, Holland Kitchens & Baths is your answer! 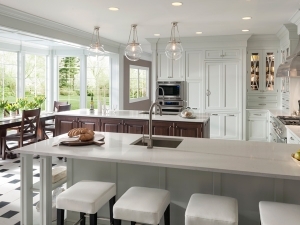 With over 30 years of experience and results that showcase our creativity and expertise, we're sure that your new kitchen or bathroom design will look beautiful! 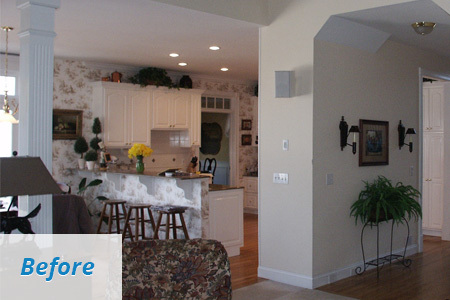 We proudly serve the greater New Hartford and Manchester areas, so contact us to start the design process today!